When I went public announcing my attempt to BQ this year, I stated I’d be doing St. George Marathon in October. But for a brief moment last week, I changed my mind. 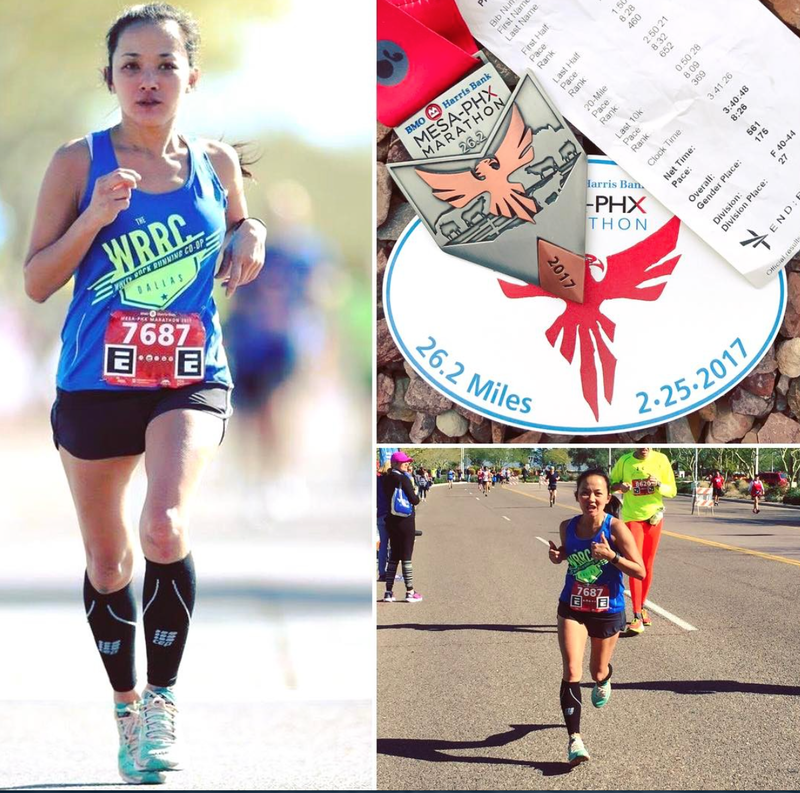 After Phoenix Marathon, my good friend Bob messaged me congratulating me on my PR and telling me that he thought my chances to BQ were good and that I should consider a race that would qualify me for Boston 2018–the year he would be going. I have A TON of friends going to Boston in 2018. My friend Marsha who qualified here two weeks ago is going. Katrina is going, Carlee is going, my friend Kim is going, my friend Halley is going, I have no doubt Charissa will qualify next month–not to mention, a slew of friends here in Phoenix. The FOMO is real, folks. So when my friend, Bob, mentioned that I should consider Revel Big Cottonwood in September, I was intrigued. I was tempted. The race was far enough away for me to get a good training cycle in. Revel races have good BQ rates. But most importantly, it would put me in Boston 2018. If I made it. I was in. I thought about how much fun it would be to meet up with friends–friends whose BQ journey I’d followed. Now I could be in the race with them! But as I waited to sign-up (my BQ training buddy Ashley was also in on this), I started to think about the negatives of changing courses. Up to this point, I had only thought of the plusses. 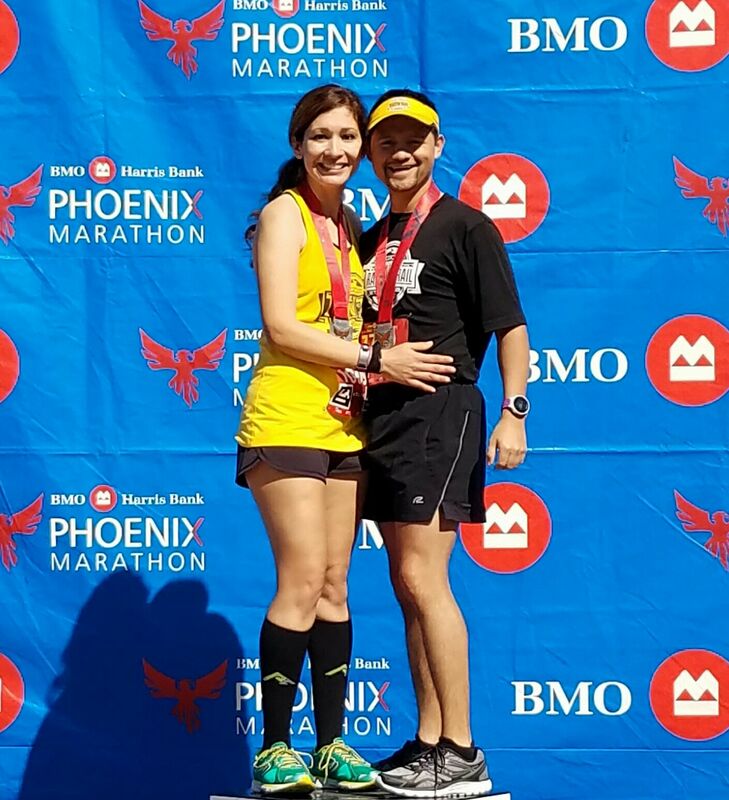 My husband had a huge PR at Phoenix too, finishing in 3:17–twelve minutes from his BQ time (he’d of course need a couple more minutes buffer). I refuse to go to Boston without him. If only one of us qualified in Big Cottonwood, the other one would be left having to do a race qualifying for the following year. We wouldn’t be doing Boston together. When I thought about how much fun it would be to meet up with friends in Hopkinton, I realized it wouldn’t be as fun if it was without my husband, or watching from the sidelines. Sticking with St. George means that we’d have several more chances to qualify if we didn’t make it there. I’m already signed up for CIM in December, and we’re both signed up for Phoenix in 2018. The back-ups (or fun runs, hoping it’s the latter lol) are set. Putting all of our eggs in the one Big Cottonwood basket was just too risky. So I didn’t sign up. –When’s the last time you beat out FOMO (fear of missing out)? –When’s the last time you succumbed to FOMO? P.S. Thanks for your confidence in me!! You’re so sweet. It’s so hard not to doubt my ability even though I’m putting the work in week after week and it seems to be going well. Big goals are tough!! I know that FOMO struggle is real LOL! Good for you for making the decision you do. You and your hubby are lucky to have each other! Thank you!! I know that many can relate to FOMO, lol! I think you made a great choice! FOMO is real, but the stress could take away the enjoyment of the journey. I think you and your husband will be able to enjoy training more, with the fall back options. So many things can go wrong in training and on race day. I haven’t decided on my fall racing schedule yet, but St George and CIM are on the top of my interest list, along with Chicago Marathon and Houston. I totally agree. I think we’d have too much pressure if we did Big Cottonwood which would take away the fun of training (which I actually do enjoy, lol!) Hope I can see you at St. George or CIM!!! Gah! Now I’m wondering if I should switch my BQ race?!! This looks like an AWESOME choice…..hmmmm….. I think that’s awesome…and really hope you both get to BQ in the same year. I think you made the right decision even though it was tempting to try Revel. BQ times are so hard…I’ve never even considered it but just recently I’ve started to think I should never say never. And, to your point, you have a great BQ race in your backyard in Phoenix. I’ve heard good things about CIM too…and I’m sure this will be a Hanson’s cycle, look forward to following along!! Phoenix is definitely a back-up if St. George doesn’t work. I totally agree with you–never say never!! Totally get this and I think you made the best decision for you. I wish you and hubby SO much luck! I have no doubt you will get a BQ given all your awesome races and training. My boyfriend BQed for 2018 and I just decided I will try my hardest at the Eugene Marathon in 2 months. Never would I thought I would try to BQ in my life but things are looking good! My original BQ goal is Philly in the fall when I age up to 3:45 which I know I’d doable but that would be for 2019. But I want to experience my boyfriend’s first Boston together! Can’t wait to follow your progress! And let us know how th hubby is doing! Right!? You want to do it together!! I wish the best in Eugene–PLEASE keep me posted!! Regardless of which one you chose, I think you are ready for a BQ. I love that you took the time to really think about what was best for you and your family. That is honestly what it is all about.